We offers a tour of the Golden Triangle with the wildlife taste of Ranthambore, where you can explore the history, art and culture of Agra, Delhi and Jaipur, along with the wildlife species in Ranthambore. Detailed tour itinerary goes as follows. Plan your Golden Triangle Tour with Ranthambore. 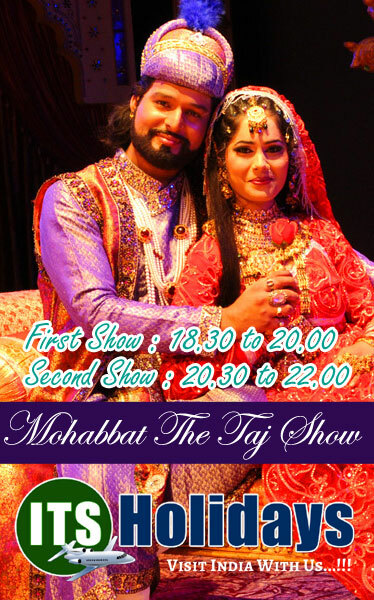 this tour take you to the Capital of India - New Delhi , Taj Mahal, Agra. 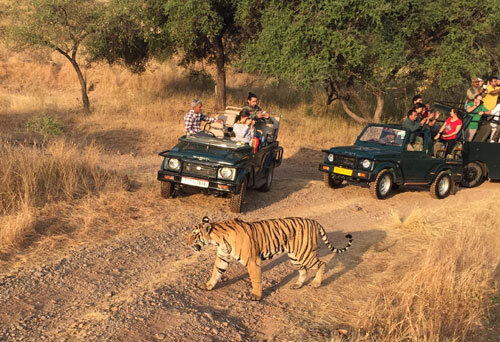 Tiger Safari at Ranthambore and Fort & Palaces of Jaipur in 7 Days, 7 Days. Golden Triangle tour with Ranthambore, Ranthambore tiger safari. The Best Time to Visit Ranthambore National park will be from 1st October to 30th June. Rest of the Time Park is closed for the Visitors. This is very important information about your Golden Triangle Tour With Tiger Safari, read carefully . 06 Nights accommodation On Twin/ Dbl Sharing at 5 Star Hotel. Upon arrival at the airport, our representative will pick you up and will transfer you to the hotel. Check in at the hotel and relax overnight. After breakfast, your toured guide to Delhi starts. Visit Red Fort, a fine example of Mughal architecture. It is a UNESCO World Heritage site for its magnificent architecture. Next, visit the Humayun’s Tomb, a World Heritage Site and the grave of the second Mughal Emperor Humayun. The next monument is Qutub Minar, India's tallest minaret, with a structure that symbolizes the finest of architecture of the Mughal Empire. The next places will be India Gate, Lotus Temple and Swaminarayan Akshardham Temple. In the evening, take a stroll around Chandni Chowk and Connaught Palace streets. Go back to the hotel for dinner and overnight stay. The next destination of the Golden Triangle Tour is Agra, the city of Taj Mahal. Visit the Agra Fort, a huge fort built by Mughal Emperor Akbar as the capital of his empire.. It includes many palaces, auditoriums and two mosques. Next is Baby Taj, the Tomb of Itmad-Ud-Daulah. Then visit the Sikandra Tomb. Later, we’ll reach Taj Mahal to capture the sunset view. Taj Mahal was built by Mughal Emperor Shah Jahan in memory of his wife Mumtaj Mahal. 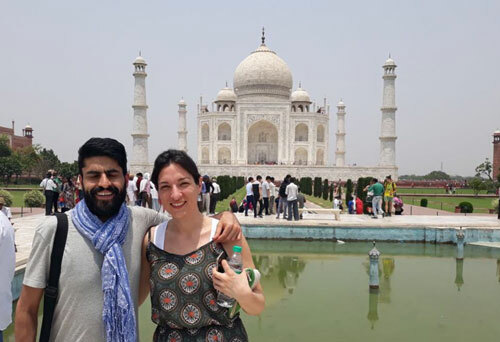 Situated on the banks of the Yamuna River, Taj Mahal is often called the Symbol of Love and is also counted among the Seven Wonders of the World. For your dinner and overnight stay, return to the hotel. After enjoying a healthy breakfast in the hotel, check out from your hotel and head for Ranthambore. Enroute visit Fatehpur Sikri, a historical town consisting of some wonderful destinations like Buland Darwaza, carved from red sandstone and marble. There are many other important monuments here but all in ruins. After exploring the historical sites, head towards Ranthambore. Check into your hotel and relax overnight. Enjoy a healthy breakfast in the hotel and then visit Ranthambore National Park. Enjoy a wildlife safari in an open jeep. Ranthambore is one of the best places to spot a tiger. Wildlife enthusiasts, nature lovers and wildlife photographers have a great place to take beautiful scenes. Ranthambore is a home to many species of wildlife including jackals, sambhar, hyenas and deer. There is a fort located at the center of the park, called Ranthambore Fort. It offers breath-taking views of the park. Enjoy wildlife safari before heading towards Jaipur. Upon arrival to Jaipur, check into your hotel for an overnight stay. 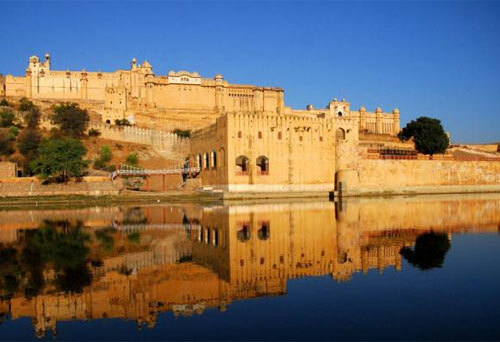 After breakfast, start exploring Jaipur and start with Amer Fort. Enjoy an elephant ride to reach the hill top. The fort includes Diwan-i-Khas, Diwan-i-Aam, Shila Devi temple and many other palaces. Later, visit the City Palace and enjoy the views of the city and gardens. It includes the renovated Chandra Mahal and Mubarak Mahal, the residence of the royal family. The next destinations are Jantar Mantar Observatory and Hawa Mahal. In the evening, visit Birla Mandir, a beautiful temple built with white marble. The temple is surrounded by many gardens where you may spend some time in leisure. Later, return to your hotel for an overnight stay. On the last day of the Golden Triangle Tour with Ranthambore, check out from your hotel and drive towards Delhi. Enroute enjoy a delicious lunch. 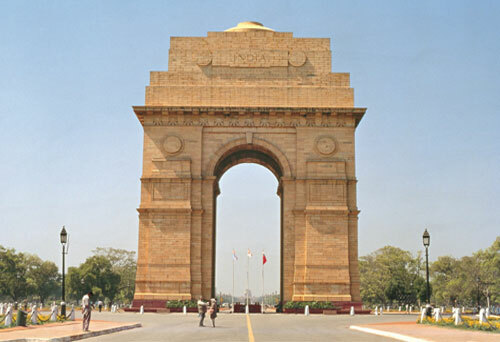 Upon arrival to Delhi, our representative will transfer you to your hotel or the Indira Gandhi International Airport. Thanks for being a wonderful traveller.